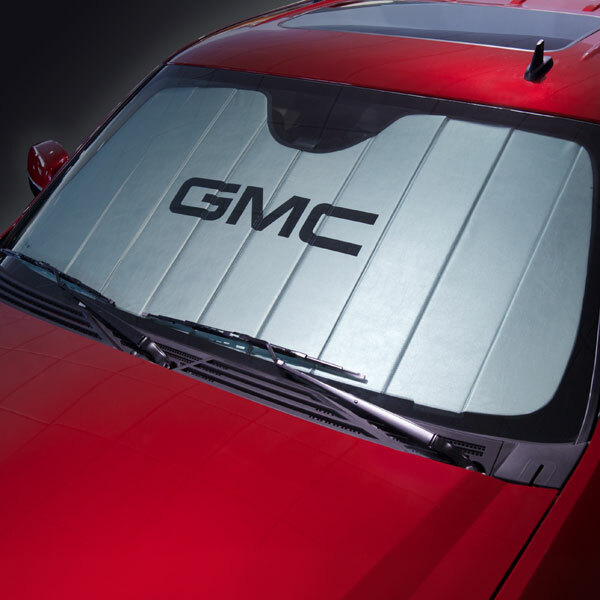 This windshield Sunshade Package will not only help keep the interior of your Sierra cooler on hot sunny days, it will also help protect your dashboard from harmful UV rays. Folds up and fits neatly in the storage bag provided. Sunshade and bag both feature the GMC logo.